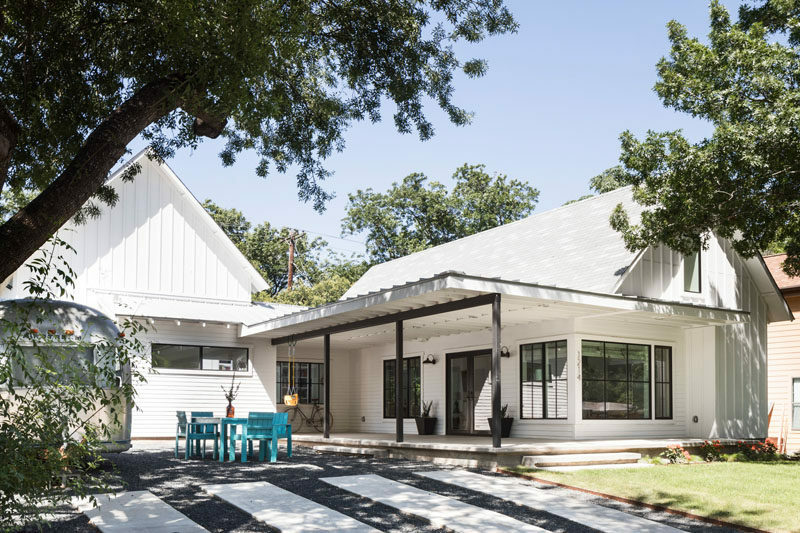 Arbib Hughey Design have completed a new contemporary house in Austin, Texas, that has an open front porch and patio area at the top of the driveway. 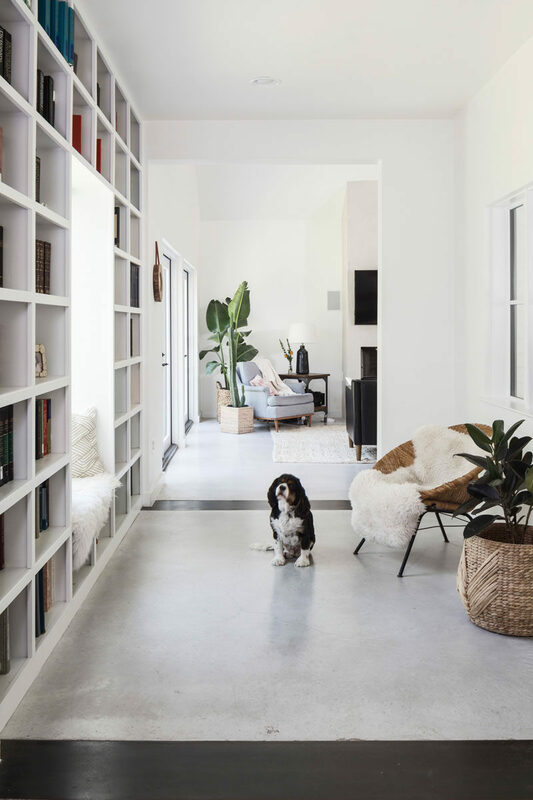 Stepping inside, the entryway has a window seat surrounded by bookshelves, and it opens up into the main social areas of the house. 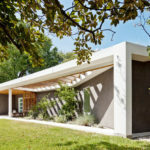 The living room, dining room and kitchen all share the same open space with a pitched ceiling. 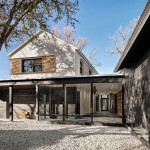 The room is filled with natural light from the abundance of windows that look out onto the backyard. 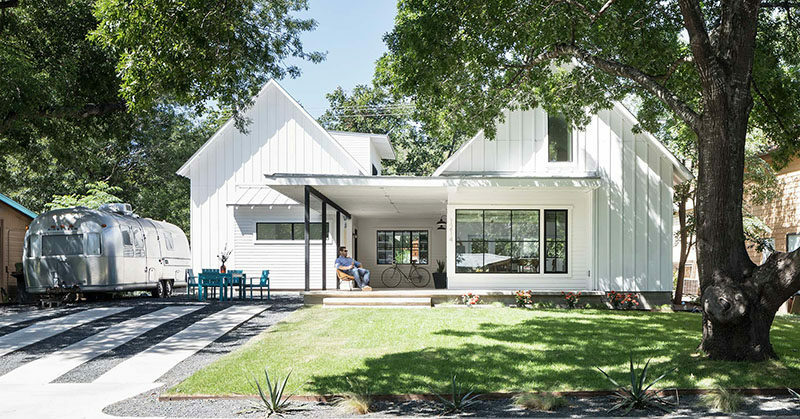 The backyard is a large open space with plenty of grass, while back window frames create a strong contrast against the white exterior of the house. Heading back inside and there’s a bedroom and wood stairs with a black handrail that lead to the upper floor of the home. 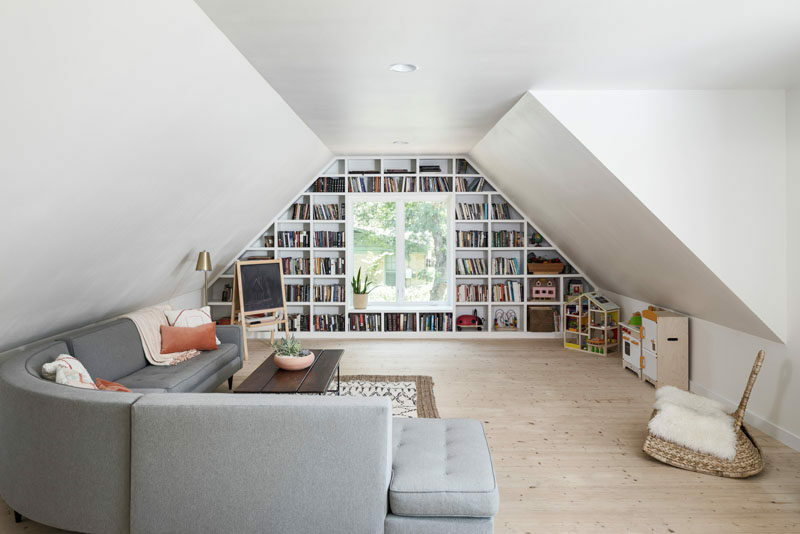 Upstairs, there’s a second living room /play area with a custom designed bookshelf that wraps around the window. Here’s a look at one of the bathrooms. 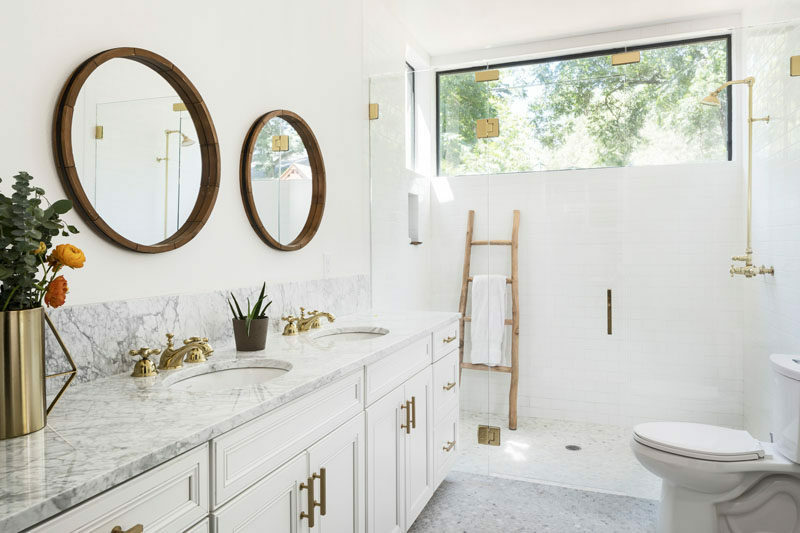 Round mirrors hang above the double-sink vanity that’s topped with Carrara marble, while a glass shower surround allows the natural light from the window to flow through the space. 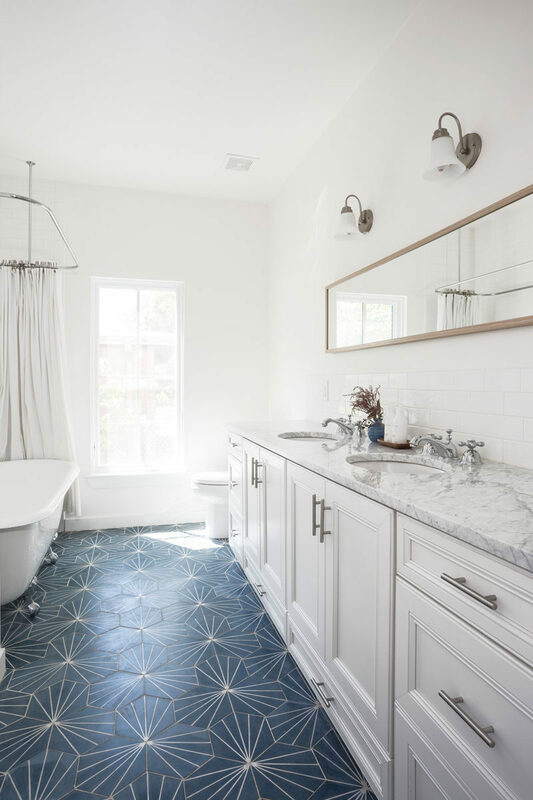 In a second bathroom, blue dandelion tile adds a pop of color to the white bathroom.